This rifle is a near bench copy of an original Lehigh County rifle. The primary difference is that the original had an octagon to round 50 cal. smooth barrel. This copy is built around a Rice 13/16 40 cal. straight octagon barrel. 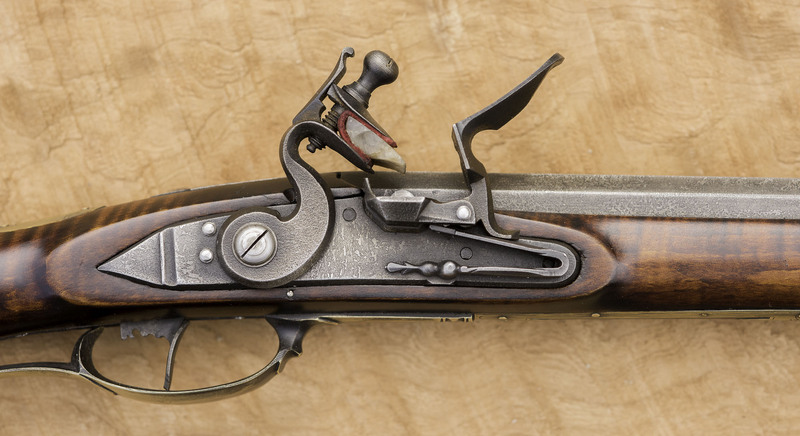 The lock is a Deluxe Siler that is fired by a nicely adjusted single trigger. All the inlays and the patchbox are handmade and hand engraved. The architecture is copied from the original and fits the average shooter quite well. The stock is a nice piece of curly maple artfully stained to reflect the look of a well-cared for antique. All metal is also antiqued and the brass is darkened. 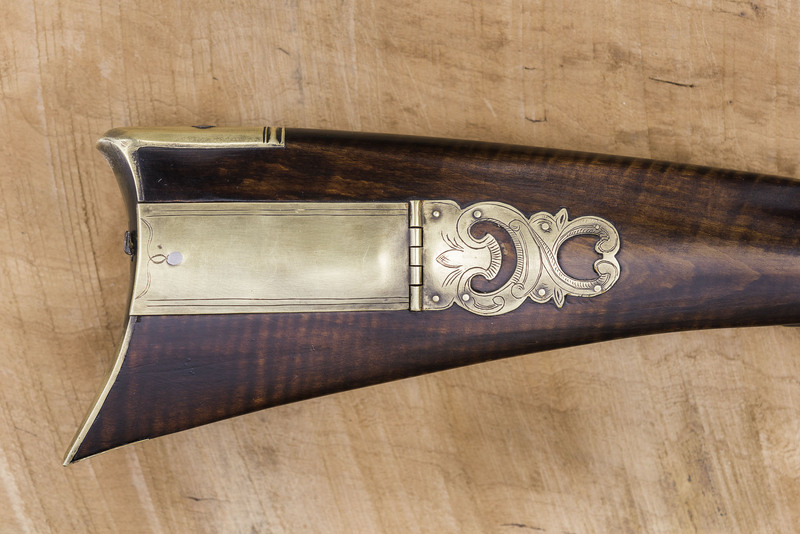 A beautiful gun for your wall and an outstanding field piece..